Foodservice equipment takes a beating in commercial kitchens all day, everyday. Prolonged strain on the equipment may leave end-users unable to continue kitchen operations for days or even weeks. To end the frutration and avoid potential profit loss caused by unusable equipment, maintenance professionals now have a resource to find the parts they need to get it back up and running as quickly as possible. 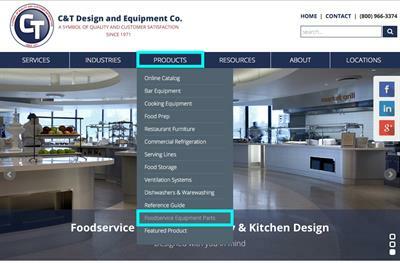 On the C&T homepage, near the bottom, click the button that reads Foodservice Equipment Parts. 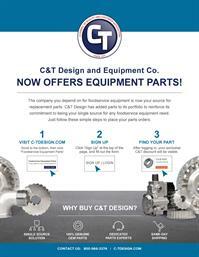 Create an account for easy and continued access to your exclusive C&T Design discounted foodservice equipment parts. 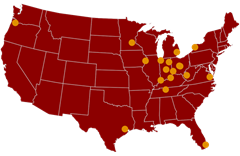 The check out process is simple and shipment of most in-stock items is available for same-day shipping. The parts catalog may also be found by clicking on the PRODUCTS tab along the top of any page on the C&T website and then clicking on Foodservice Equipment Parts. Our handy dandy Parts Flyer breaks down how to get going on getting parts.